Today, society is becoming more digital and intelligent. Systems used in industries today are also becoming more complex. 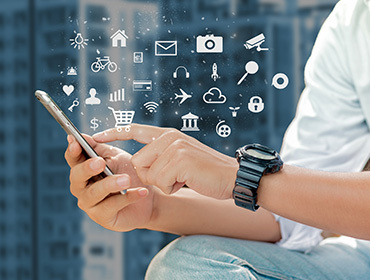 The latest technologies like big data, Internet of Things (IoT), mobility, and cloud services are advancing rapidly, and are enabling more connections and interactions among enterprises and industries. As a result, new operating models and business models are emerging every day. To benefit from the trend of digital transformation, enterprises need to transform their IT infrastructure and organizations at a fundamental level. Industry boundaries are continuously expanding. These developments are also reshaping the business ecosystems they rely on. Traditionally, the business ecosystem is linear. From suppliers, manufacturers, to distributors and customers, they form a unidirectional supply chain. However, the digital transformation shakes up the system and changes the roles of industry players. Industries are now overlapping each other, which makes for a more complicated ecosystem environment. John Deere started his company in 1837. At the beginning, this agricultural machinery company only sold products to farmers. Today, the company is using wireless connectivity, cloud computing, and big data to provide a wide range of agriculture management solutions covering meteorological data, seed selection, and irrigation. The company has established a comprehensive digital ecosystem that supports business development. In the ecosystem, digitization and connectivity make real-time monitoring of equipment possible, improving the efficiency and reliability of operations. 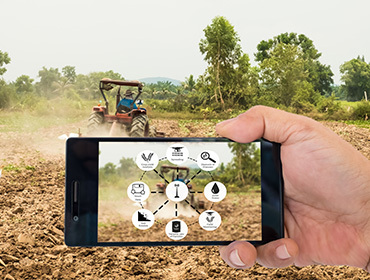 Sensors deployed on farms gather important agricultural information that helps guide farmers in sowing, fertilization, and harvesting. The remote information management platform helps support the decision-making process. John Deere is now the world's largest supplier of agricultural machinery, industrial equipment, forestry equipment, and agricultural management solutions. The company even has business in credit cards, healthcare, and specialized technology, which has enlarged its ecosystems and created greater shared value among its partners. If you also run an enterprise supplying agricultural machinery solutions, how do you compete with John Deere in the market? In the future intelligent world, an enterprise will be unable to compete in the market on its own. It will be necessary to join ecosystems in order to survive and prosper. From transportation, finance, energy to education and healthcare, the business environment in almost every industry is becoming more complicated. With the convergence of industries and changes in consumer demands, enterprises need to become more open and flexible. They also need to choose sustainable ecosystems in order to establish long-term competitiveness. Hawaii is located in the middle of the Pacific Ocean and is over 3,000 kilometers away from the nearest continent. It has an ecosystem comprised of more than twenty thousand animal species. Its ecosystem is relatively closed and fragile. On the other side of the spectrum is Costa Rica, which is situated between North and South America, connected to Panama to the south and Nicaragua to the north. Costa Rica is linked to two continents and has an open and diverse ecosystem that has a high degree of biological symbiosis. The ecosystem has approximately 500,000 species, roughly 25 times as many as Hawaii. Its open, inclusive environment nurtures a healthy, prosperous, and sustainable ecosystem. The same also applies to the ICT industry. In the past, enterprises chose suppliers based on the quality of products and their price performance. In the new digital era, as technology advances quickly and customer demand evolves over time, enterprises are choosing their partners based on the ecosystems they participate in. The focus is now on the open, inclusive, sustainable ecosystem that suppliers participate in and represent. Openness is key to the success of the iOS and Android platforms. Numerous developers create applications for the two mobile platforms, greatly expanding the capability of mobile phones and enhancing user experience. The prosperous ecosystems provide value to all players. Microsoft is also opening up and embracing other platforms like iOS, Android, and macOS. Because of the difference between industries and enterprises, the cloud service ecosystem needs to be open. As an open source cloud architecture, OpenStack frees enterprises from being bound to solution providers. The cloud platform enabled by OpenStack allows the IT team to become a cloud service provider. OpenStack enables a controllable, interoperable, and expandable environment that is valued by participants in the ecosystem. The OpenStack community has more than 16,000 members in over 130 countries. It also receives support from over 200 technology leaders including IBM, Intel, Oracle, Cisco, Dell, HP, Red Hat, and VMware. According to 451 Research, revenue in the OpenStack ecosystem will increase from US$1.27 billion in 2015 to US$5.75 billion in 2020. 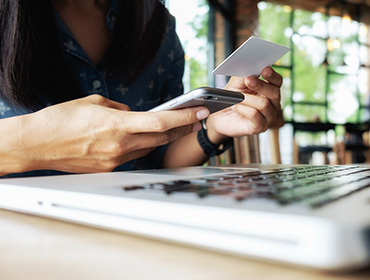 From traditional product- and solution-focused supply chains to new ecosystems oriented toward digital transformation, the customer-centric approach is always important. The goal of an ecosystem is to connect a wide range of partners and serve fast evolving customer demands. By doing this, it also guarantees a healthy and sustainable ecosystem. An enterprise can increase its business scale by investing more capital. It can also become strong by improving its competitiveness in the market. However, if an enterprise wants to establish a healthy and sustainable ecosystem in the long run, it needs to embrace a customer-centric approach. For example, the finance industry is moving into a new phase of intelligence and digitization. Customer behaviors are changing quickly. The adoption of mobile payment is reducing demand for credit cards and cash. Customers are more accustomed to using financial services through the Internet or mobile banking than lining up in banks. Today, customers prefer the bundling of finance, entertainment, transport, and social media products. Banks need to understand the changes that are occurring in customer preferences. They need to leverage their advantages in customer relations, channels, data, technology, and risk control to create services that integrate mobile communications, retail, healthcare, bill payments, and social media. By achieving this, banks can expand their market share through the building of ecosystems. Enterprises have to create value for their customers. The employees, technology, products, operational processes, and organizational structures of an enterprise are employed and built to create value. A reliable and sustainable ecosystem doesn't rely on a single, big company but rather on multiple players that seek out robust business models in the system. Apple's iOS was the first mobile operating system to allow developers to sell their apps directly to users. Users can also make payments within apps. Since the launch of the App Store in 2008, Apple has helped the global developer community to earn more than US$70 billion in revenue. A robust business model founded on shared success and supported by an enterprise is key to the long-term success of an ecosystem. In the natural environment, the composition and health of the soil impacts the growth of plants and the formation of an ecosystem. In the digital era, a solid, end-to-end platform is the rich soil that can nurture the ICT ecosystem in the long term. This ensures that the ICT ecosystem is adaptive and long-lasting. 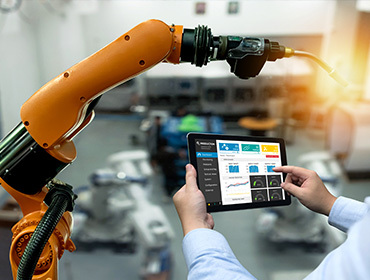 A good example of how enterprises, customers, and partners can work together to establish an end-to-end platform solution is how Huawei has partnered with General Electric to provide an industrial predictive maintenance solution. The cooperation combines Huawei's open Edge Computing-IoT (EC-IoT) architecture and GE's cloud-based Predix platform to provide an integrated ICT industrial solution. The solution was rapidly adopted by leading elevator and escalator manufacturer Schindler, allowing the company to monitor over one million elevators and escalators in real time. The company can gather data to perform big data analytics, predict malfunctions, control equipment remotely, and repair systems before problems arise. This makes maintenance more intelligent, reliable, and cost-effective. The solution has the potential to be applied in other industries such as manufacturing, oil & gas, and logistics. The "Costa Rica" ecosystem proposed by Huawei is not about how to win through competition, fairly distribute market benefits among participants, or limit customer choices through bundling. Its focus is to create an open and collaborative ecosystem founded on shared success, aiming to fulfill diverse and evolving customer demands in the new digital era. Its cross-industry approach brings together governments, industry alliances and organizations, developers and academia to create a larger market for all participants so that they can share benefits in the long run. Huawei conducts cross-industry and cross-regional cooperation with industry partners. As the end of 2016, Huawei had strategic alliances with SAP and Accenture, as well as partnerships with more than one hundred leading industry players such as GE, ABB, BOSCH, Honeywell, Infosys, Veolia, T-Systems, Alston, Hexagon, and etc. By working together, the companies have jointly developed nearly 200 innovative and competitive solutions, helping customers to succeed in industries such as public safety, transport, energy, manufacturing, finance, and smart cities. As of the end of 2016, Huawei had more than 12,000 channel partners across the globe. The company also has more than 400 solutions partners, over 2,100 service partners, and more than 46,000 Huawei certified engineers. In the next 5 years, Huawei will invest US$1 billion to implement its "Developer Enablement Plan" initiative. This is a program that enables developers to build products and solutions based on Huawei's products, platforms, and APIs, achieving innovation and sustainable business success. A sustainable ecosystem relies on strong R&D investments. Huawei has approximately 80,000 R&D staff, accounting for 45% of all employees (as of the end of 2016). Huawei invests more than 10% of its sales revenue in R&D. Over the past ten years, R&D investment has totaled over US$45.07 billion. The company's R&D investment was US$11 billion in 2016, equivalent to 14.6% of revenue. Although investment in basic research doesn't directly contribute to sales, Huawei's investment to its 2012 Lab still reached US$2 billion in 2016. The spending on basic science research will be in the range of 20% to 30% of total R&D spending in the coming years. In order to better understand customer demands in local markets, Huawei has established a series of Open Labs in cities including Suzhou, Munich, Mexico City, Singapore, Dubai, Johannesburg, Bangkok, Paris, Cairo, and Moscow. By cooperating with leading laboratories and more than 400 partners in various industries across the world, Huawei continuously develops innovative and customer-centric solutions. 1. In terms of smart city solutions, Huawei is serving more than 200 cities in over 80 countries and regions across Europe, Africa, and Asia-Pacific, reaching more than 800 million people. 2. In the finance industry, Huawei is co-innovating with over 10 leading global financial institutions and independent software developers. The aim is to support the digital transformation of financial institutes in terms of platform transition, product innovation, and channel services. Huawei has also successfully built cloud-based infrastructure for the Industry and Commercial Bank of China. Huawei is serving 300 financial institutions globally, including six of the top ten global banks. 3. In digital urban rail, Huawei cooperates with more than 30 partners in the areas of CBTC, PIS, CCTV, and TAU terminals, as well as trunking and integrated surveillance systems. The collaborations aim to create, test, and verify urban rail solutions, and provide interoperable IoT test reports to support the development of the ecosystem. 4. In industries such as manufacturing, education, Internet, energy, and public safety, Huawei cooperates with numerous partners to jointly create solutions and enable digital transformation.